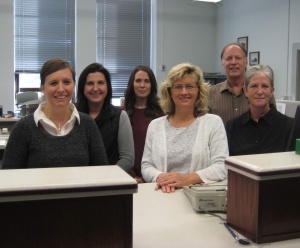 We provide Property Tax collection, Motor Vehicle titling & registration and Driver License issuance in our office. We strive to provide courteous, professional service to our customers & will be happy to assist you with any questions you may have. It is my hope that this site will give you the opportunity to access us 24 hours a day/ 7 days a week. Please do not hesitate to contact me with any questions or comments. Thank You! To make on-line property tax and vehicle registration payments, click HERE for more information.